We all have unwanted items and clutter taking up space in our lives. Whether it is in your home, attic, basement, garage, or business, there are always items that can be removed to free up space. If you have a storage unit, you will likely become very acquainted with it. With convenient access to all of your items just a drive away, you can instantly create more space for your home or business by storing those items that you don’t need all the time. This is especially beneficial when you want to clear winter or summer items out after the season is through. If you require more or less space at any point in time, you can always switch to a new storage unit to better fit your needs. While storing items can clear them out for the short-term, as you accumulate new things over time, you will eventually need to get rid of some old things. Clean out your unit once per year to see what you want to keep and what you never even thought about all year. Along with clearing up some much-needed space, you can also make a little money off of your unwanted items. Find out what your local thrift shops and consignment shops will purchase. Many store owners are looking for quality furniture, antiques, clothing, household goods, jewelry, artwork, and other items that are in demand. Find a store that stocks items similar to what you are looking to sell and find out what their terms are. Online auction sites like eBay can help you sell anything from clothing to electronics. You can also sell on popular sites like Amazon or Craigslist and set your own price and shipping or pickup terms. If you think your items may be particularly valuable, get an appraisal or search for similar items to see what they are valued at beforehand. 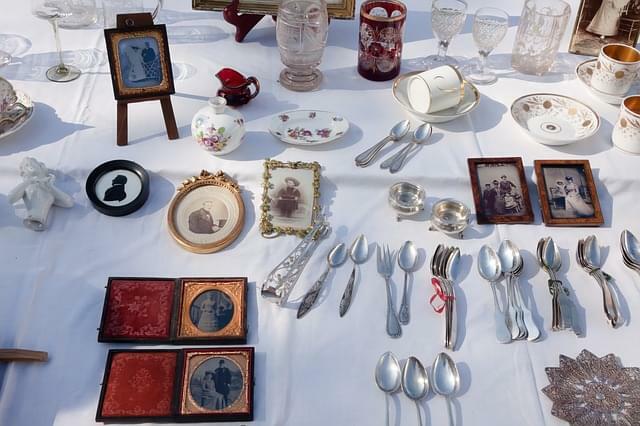 A weekend yard sale can help you sell a huge amount of items all at once. To maximize your return, you will need to carefully plan your yard sale and post signs around your neighborhood and on social media sites to get the word out and increase your sales. You may want to contact your town’s government office to find out if you need a permit to hold the sale or if there are restrictions on where you can post signs for your sale. When you have an unwanted item that won’t sell, consider donating it. Your unwanted items can be transformed into something special for someone else. While selling items can help you make quick cash and can clear out your home or storage space, there is nothing worse than selling something that you later wish you had. If you aren’t sure about any items, leave them in your storage space and visit them later (such as next year) to see if you still want them. Contact Value Store It for more information on how our storage units can fit your needs!